Video game controller - Katz Design inc. 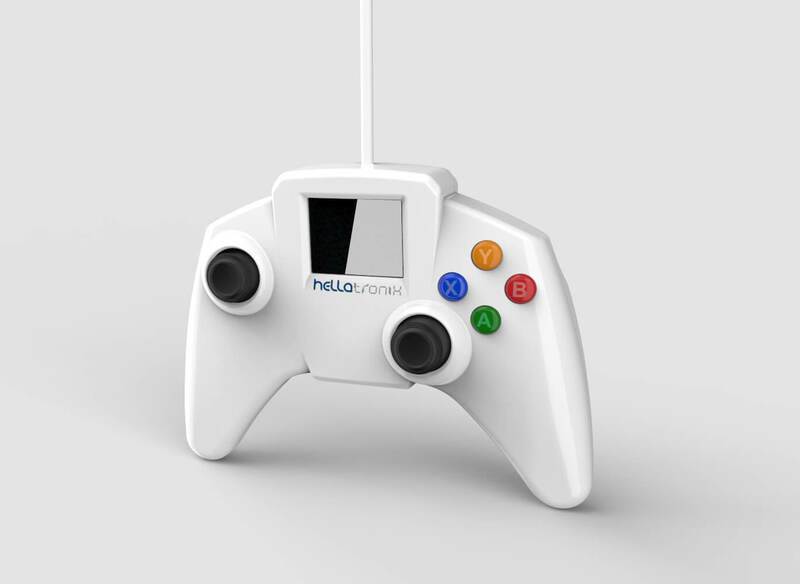 Improving the user experience and play value is what the Hellatronix game controller is designed to do. Better ergonomic positioning allows the user to better control their inputs. An LCD screen supplies the gamer with an additional layer information only the user can see related to their options and strategies available. The experience and the interaction deepens.